The Lerato Makati is not only a great community arising in the heart of Makati but a work of art and an energetic sanctuary for those who are worn out from a tiring day of work. This brilliantly designed dwelling for the divine seekers set against the urban landscape of the city never runs out of style. The Lerato is a high-rise residential development standing close to all important destinations within the metro, from north to south and from east to west, the site is a perfect pivot point for the working people. The project has a unique amenity called "The Shops at the Lerato", a series of boutiques for a full retail experience for future residents. The location is one of the most recognized this part of Makati where it is located close to the city's Central Business District, Ortigas, the Bonifacio Global City and Quezon City and major thoroughfares such as EDSA and the SLEX, you will never be late for your appointments once you are living in the Lerato, Alveo Land's sortie into the expanding creative hub. The project is located along Malugay St., Brgy. Bel-Air, Makati City, and part of the Ayala Land owned Makati Central Business North. This is really a perfect location wherever you are going. The route to every nook and cranny of the metropolis is easily accessible from this point aside from the major road arteries, there are minor avenues traversing the site. The project is situated in a 9,813sqm of prime land safe from flood and has diverse cultural surroundings with immense features highlighting the best in nature and the building features are unique compared to any of the existing residential developments of other known property builders in the area. The project is comprised of 3 elegant towers (Towers 1, 2 and 3). The towers have 24 to 48 floors of residential units. Unit sizes range from 29 to 132sqm of floor area, still a convenient space for large families. 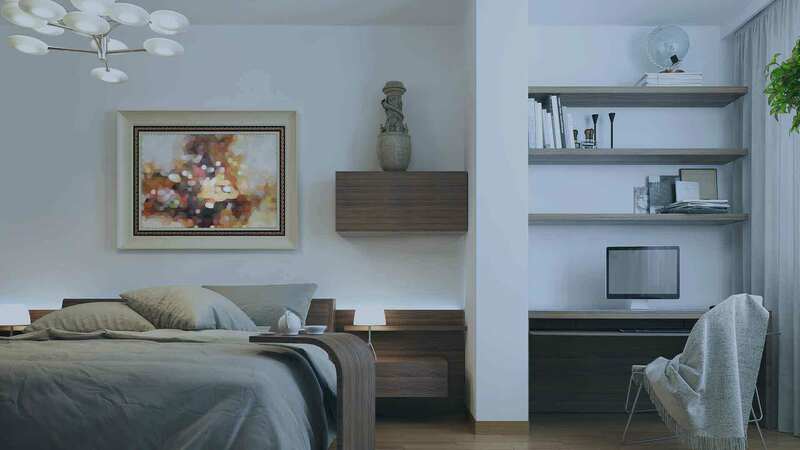 The units are classified as Studio, 1-BR and 2-BR residential units. There are provisions for 1-2T&B depending on unit model; provisions for balcony, master's bedroom, master's T&B, utility room and laundry area for selected units; all units are provided with living, dining and kitchen spaces. Kitchens are provided with stainless steel sink and countertop for all units. Here in The Lerato, feel the finest indulgence of lush green ambience and the fresh air without the smog and the bugs of the city. Amenities and facilities include ante room, audio-visual room, culinary studio, grandiose elevator lobby, function rooms, gym, elegant hallways, indoor lounge, kids art lab, library, main lobby, music room, prayer room and roof deck bar, mail room, stand-by generators system for common areas, fire alarm and smoke detection system, 24-hour security services and maintenance, and so much more! Outdoor amenities are even more captivating, such as a 25-meter lap pool, kiddie pool, wooden lounge deck, adult leisure pool, cascading water feature, open lawn, children play area, yoga and meditation areas, garden outdoor, stage reading nooks, Wi-Fi access and jogging trail. Respectable schools are located within the locality of the Lerato, which include the Asian Institute of Management, Ateneo de Manila University Graduate School, Colegio de San Agustin, DLSU Graduate School of Business, Far Eastern University Makati, Mapua Institute of Technology and Assumption College. Hospitals are located within easy reach from the site, such as the Makati Medical Center, Ospital ng Makati, Philippine Hospital and Health Services, Inc., Trinity Hospital and Fort Bonifacio General Hospital. Leisure, entertainment and shopping just go hand in hand when you live at The Lerato as these types of establishments are nearby, the likes of RCBC Theater and Museum, A-Venue Mall, Greenbelt, Glorietta, Ayala Triangle Garden, Salcedo Park, Makati Sports Club, Shops at the Columns, Ayala Museum, Manila Polo Club, the Collective at Malugay and Reposo Art and Dining, to name just a few. Alveo Land The Lerato in Makati City, Philippines is a premier Condo project available for sale. If you're looking to rent or purchase The Lerato, then check here first. We have full details of The Lerato updated regularly as well as everything you need to know about the availing and booking process, broken down into stages that includes selecting a unit, choosing a payment plan and buying your dream home at the right price. For price list, free site tripping or showroom visit, personalized service, model house, unit plans, floor plans, payment terms, CHAT LIVE with an agent 24x7. We are Remax Perfect Homes. Always only buy from PRC licensed Real Estate Brokers and Agents.